Calvin and Hobbes, Bill Watterson’s iconic serial cartoon creation, is as uniquely American as anything Norman Rockwell ever painted. From November 1985 Watterson gave us exactly ten years of his genius and then abruptly turned off the hose and millions of us C&H fanboys (and girls) have been jonesing ever since and it’s been eighteen years since we’ve had our last fix. What do you say, Bill? How about bringing Calvin back to life. He’d be in his late twenties now. And what would this twenty-something’s relationship with a modern-day Hobbes be like? Only Bill Watterson could answer that question. And millions of us sure wish he would. The official Apple iPhone iOS Notes app is a great way to take notes. I use it everyday. 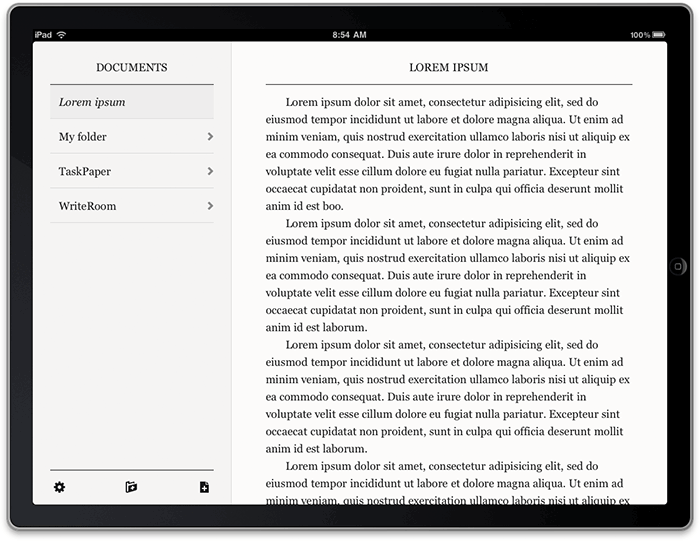 But there is a third party note-taking app I use pretty regularly too and it’s called Plain Text and it’s made by Hog Bay Software. It’s called Plain Text because that’s pretty much what it does. You create plain text files on your iPhone or iPad that, unlike iOS Notes, you can store in folders but here’s the kicker. It syncs with your Dropbox account. It works on iPhone, iPod touch, and iPad. And because it syncs with Dropbox that means it automatically works with Mac, Windows, and Linux desktop. But here is one of the most beautiful things about this app. Anything you create on this app can be edited in your Dropbox account. This truly amazed me when I first tried this. It’s cool enough that the Plain Text app syncs instantaneously in a window you have open in Dropbox but the most amazing thing is that you can start typing in that Dropbox window and everything you do in that Dropbox window will immediately sync to the Plain Text app on your iPad or phone. For a real WOW experience, try it out for yourself. 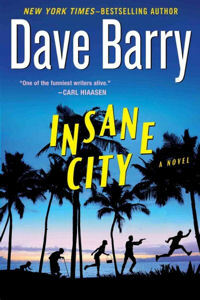 I just today finished reading “Insane City” by Dave Barry. Now that was fun. You’ll probably agree with me that Dave Barry is one of the funniest Americans alive today. Don’t read any part of this book in public because there’s no way you’re going to keep from laughing out loud. I was reading “Insane City” on my Kindle this morning while having breakfast at a local restaurant and almost did a Danny Thomas spit-take. A Danny Thomas spit-take? – Google it. This book will not make you any smarter but it will make you happy, at least for a short period of time. Janet Yellen has been nominated by President Obama to be the head of the Federal Reserve. Ms. Yellen, 67, who has been the Fed’s vice chairwoman since 2010, would be the first woman to run the central bank. A native of Brooklyn, she was previously president of the Federal Reserve Bank of San Francisco, a White House adviser, a Fed governor during the Clinton administration and a longtime professor at the University of California, Berkeley. Her four-year appointment as chairwoman must be confirmed by the Senate.